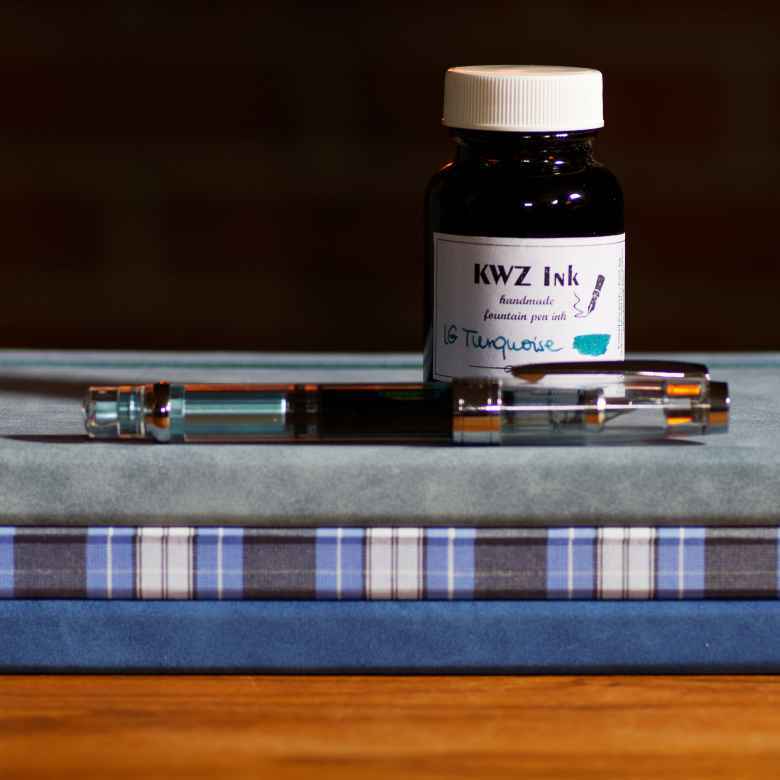 Wherein my Blue Wing Sung 3008 (IEF) is paired with KWZ IG Turquoise. I bought these Wing Sung pens precisely because they are cheap, so I won’t care what happens to them, thus they are my experimentation pens. I want to see what this iron gall turquoise ink does to a demonstrator, so here we go!